I bought some mini doughnuts and made some chocolate chip oatmeal mini muffins as well. We served orange juice and apple juice for drinks with pretty little striped straws, on colourful kids' cups and plates for our dishes. Some kids wanted their parfaits heavy on the berries, some wanted extra yogurt, and others wanted plenty of granola, so, it worked out well to give them those choices! I also had two different flavours of Jordans Morning Crisp cereal available to choose from ("Wild About Berries" and "Bursting With Nuts"). You can see in the photo below that there are both fresh berries (which we added) and dried berries (part of the "Wild About Berries" cereal). I was happy to see that both the adults AND the kids were fans of the granola! I was especially glad that my kids like it because it's made with 100% all-natural whole grain ingredients, without artificial flavours or ingredients, and is sweetened with raw cane sugar. I love it when my kids are excited to eat healthy things! I'm excited to try the cereal with milk next! I had borrowed an extra kids' table from one of the moms there, but we didn't even use it because the kids all wanted to sit together, around the larger table. The moms (and baby) had fun eating and chatting around the "grown-up" table and the kids had their own social time, eating around the kids' table! Jordans wants to give one of you a couple of boxes of Jordans Morning Crisp cereal! The contest will run until July 31st and is open to Canadian residents only, excluding Quebec. To enter, just fill in the form below! You can find more details about Jordans on their facebook page! Also, keep an eye out at select Sobeys and Metro locations for Jordans Morning Crisp #Pairfect tour in Ontario beginning August 6th! Disclosure: I am part of the Jordans Morning Crisp Cereal Campaign with Influence Central and I receive special perks as part of my affiliation with this group. The opinions on this blog are my own. Those roll ups sound pretty good. I know my son would love them. I love the fact that the ingredients are actually pretty good for him. Anything with berries is a hit with our daughters! Love the ideas here and cute photos too. This looks delicious and a great way to get in that extra fruit to our daily diets at home. It looks like everyone had a great time! I love the idea of a brunch party - breakfast is my favorite meal of the day! I like to add granola to my yogurt. 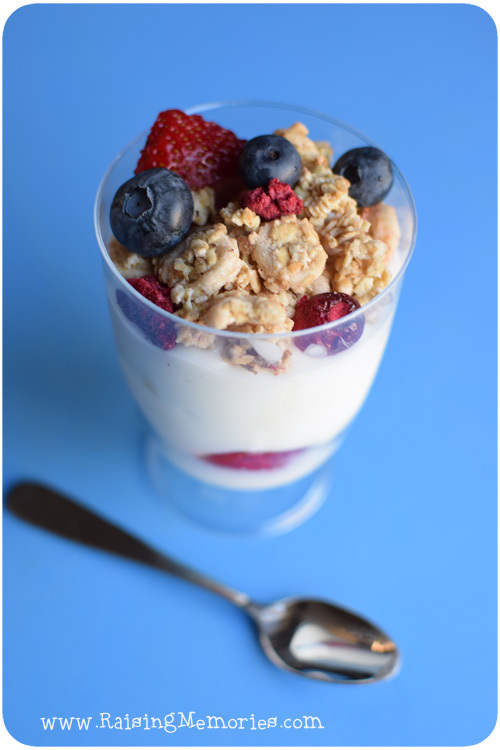 I love making a granola, yogurt and berry parfait. I have never heard of this cereal but it looks really good. 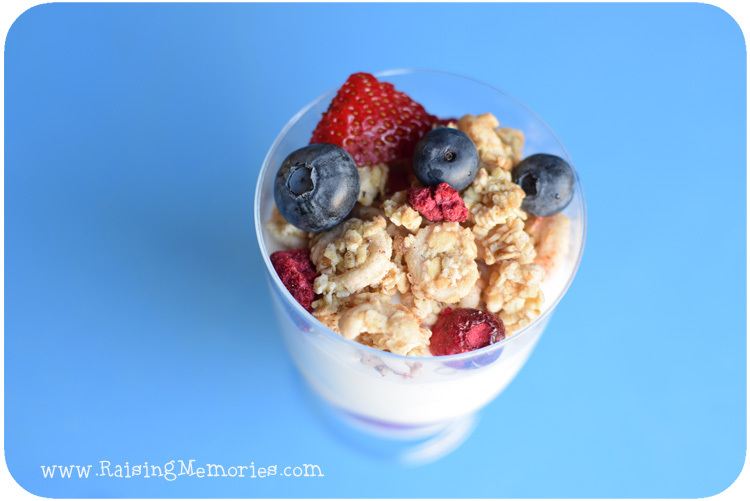 I love how you added it to yogurt and made simple parfaits!! 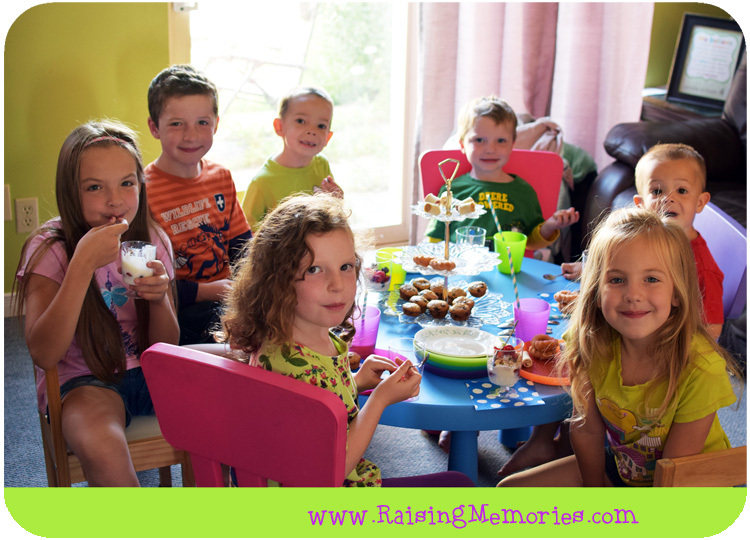 What a great idea to host a summer brunch for the kiddos. 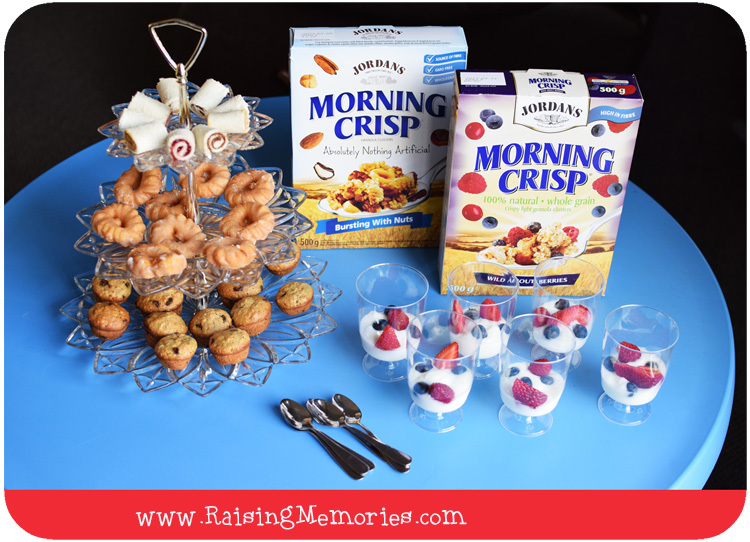 I love the idea of the breakfast roll ups and the parfaits look yummy! 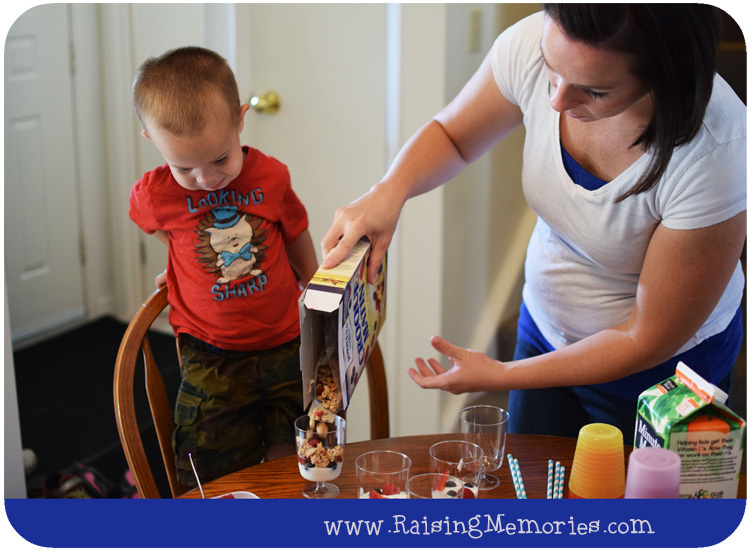 I love to find new and delicious granola's to try and Jordan's fits the bill! I love putting granola in my yogurt. I love parfaits! So does my daughter! I love granola with my greek yogurt with a bit of honey drizzled all over it. I like eating granola in yogurt for a snack or in almond milk for breakfast. love granola - any with plain Greek yogurt. I love granola as a topping for my yogourt. I like granola as a snack or on my yogourt. I like my granola for breakfast with a whole bunch of cold milk. Great idea. Definitely going to do it for The Kids next party. Unfortunately, I have never eaten granola! Granola is great with berries and milk! I love my granola with almond milk and frozen pineapples or strawberries! Granola is great with yogurt or with almond milk. I love granola on top of my yogurt. I eat my granola with greek yogurt. I eat them with yogurt! My favourite way to eat granola is topped with yogourt and raspberries. Everything looks so elegant! It is truly an amazing way to get in the fruits to our daily diets at home. I really loved your idea of this brunch party. Well, tonight I will also be attending the dinner party at my favorite venues for events. I love this it's healthy, and easy to make I've never heard of morning crisp going to look into those !